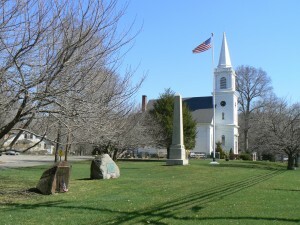 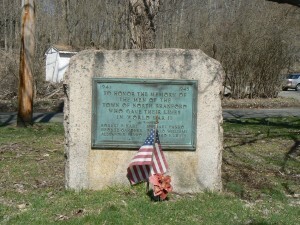 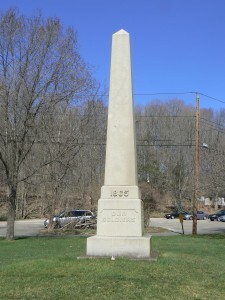 An 1866 obelisk on the North Branford town green was among the first monuments in the state to honor Civil War veterans. 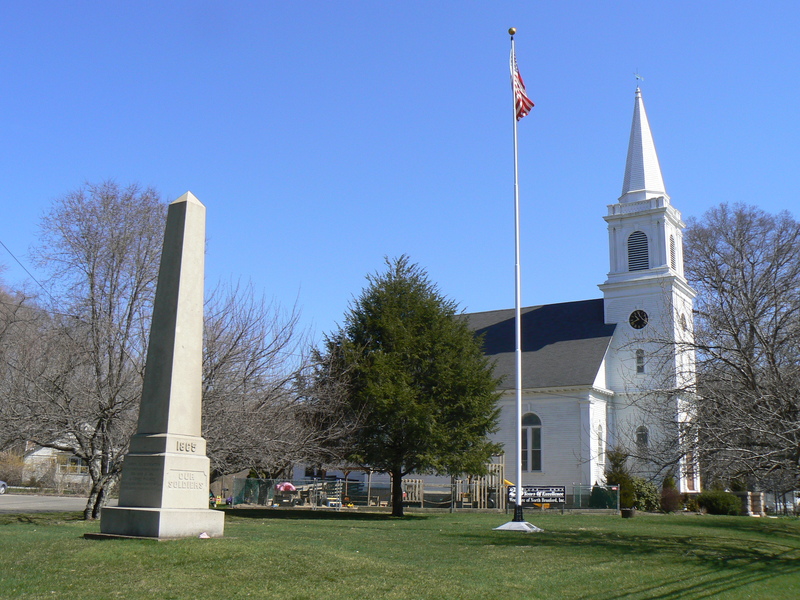 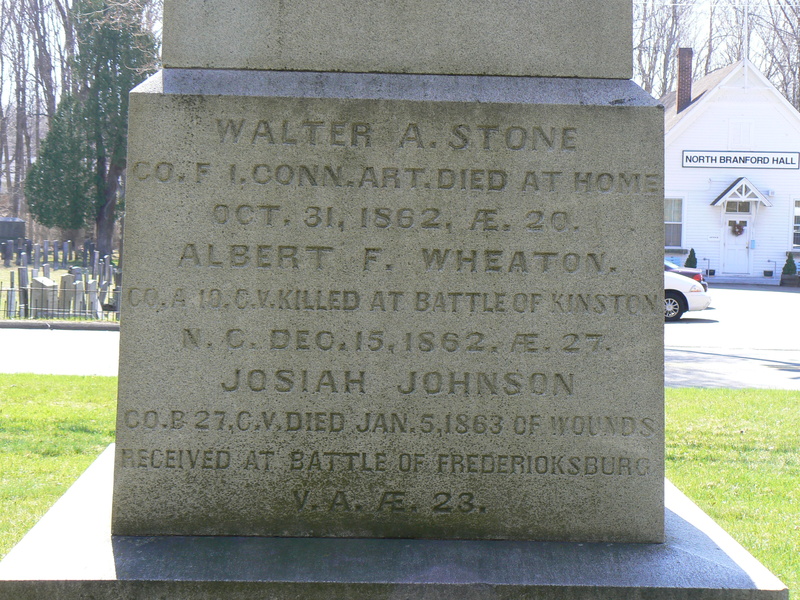 The monument stands on the green along Foxon Road (Route 80), next to the Congregational Church, and was dedicated in April of 1866 — less than a year after the war’s conclusion. 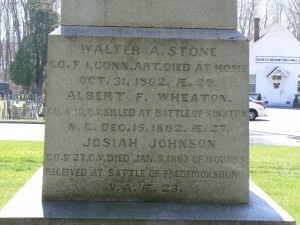 The monument a bears simple inscription on its front (southeast) face reading “Our soldiers” and the year 1865. 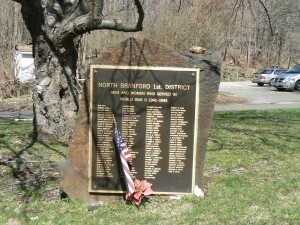 The northeast face of the monument lists the names, unit affiliations and places of death of two local soldiers killed in the war. 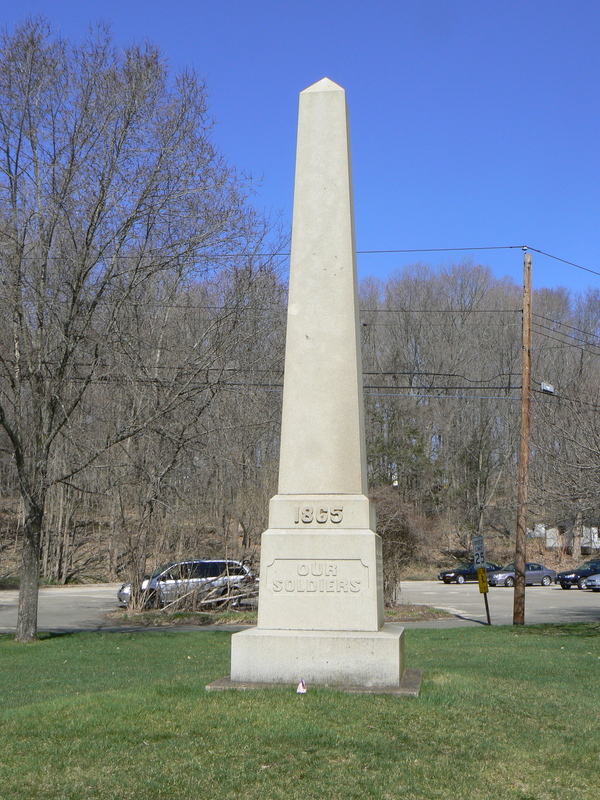 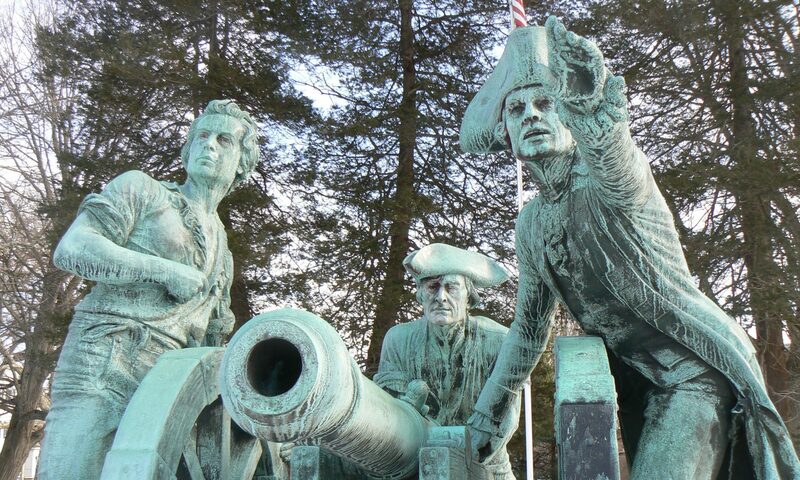 The northwest face lists three soldiers and the southwest face honors two soldiers. 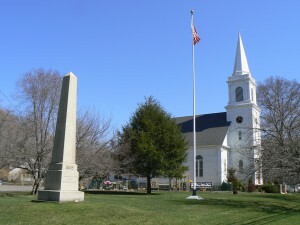 The Civil War monument is one in a series of monuments aligned along the town green. 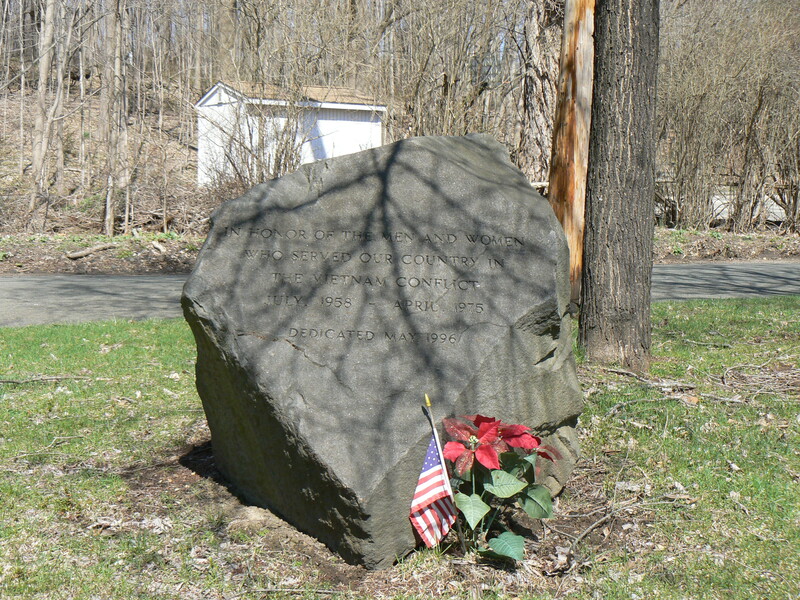 Moving south, the next monument is a boulder with a bronze plaque that honors World War I veterans. 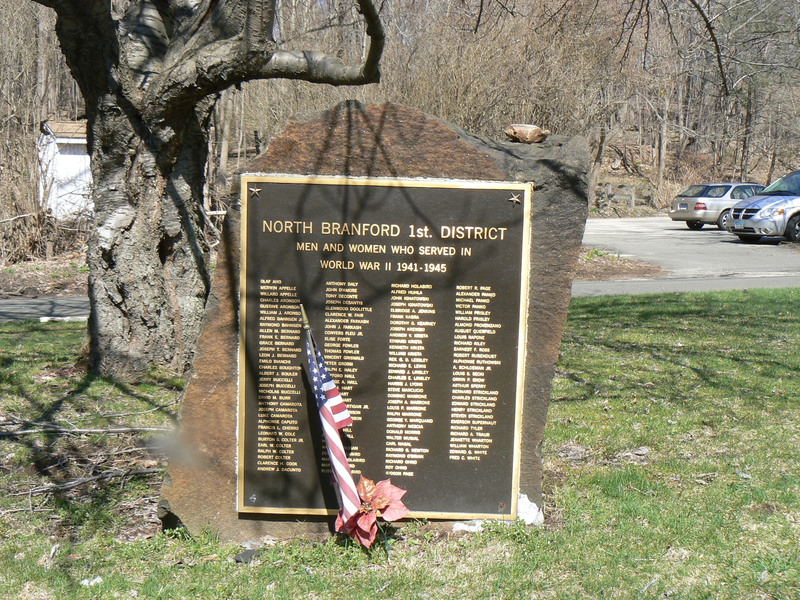 The plaque bears the dedication “to the men who served their country during the World War” and lists 17 names. 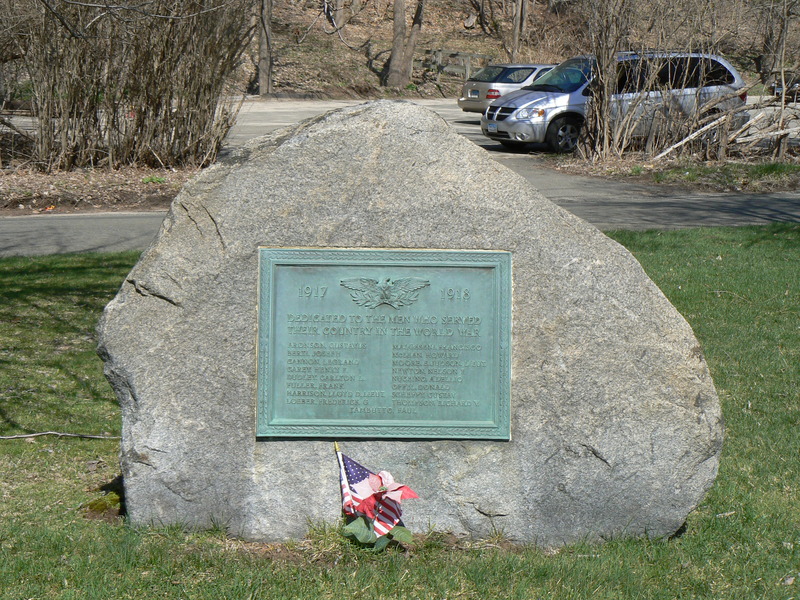 Next to that monument is another stone monument with a plaque, apparently of recent vintage, with four columns of names honoring veterans of World War II. 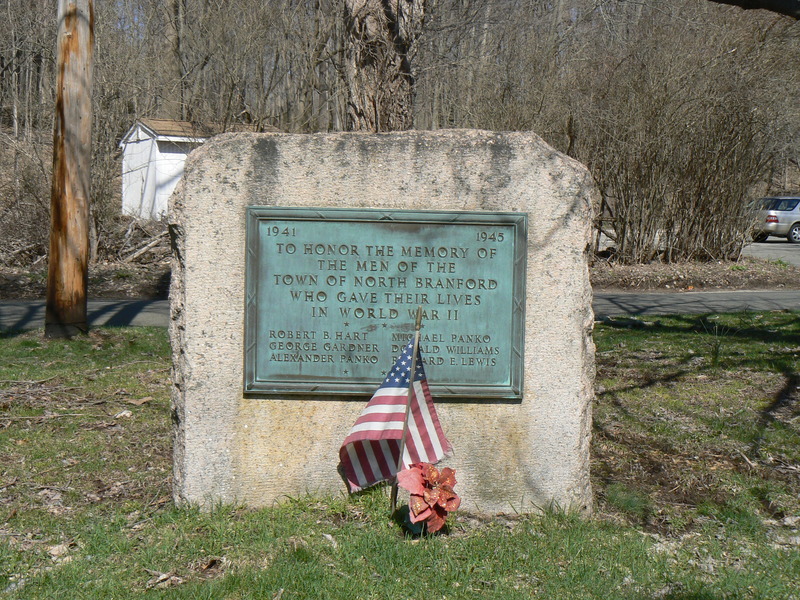 A separate monument, further south, honors six local residents who were killed in the war. 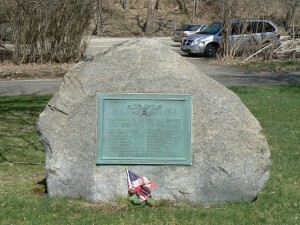 Completing the monument collection on the green is a rough boulder at the southern end that is dedicated to those who served in the Vietnam War.